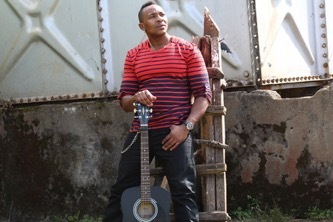 Sourcing the best of Kenyan talent we are delighted to announce Idd Aziz will be headlining in Lamu town square on the night of Friday, 17th February. He will release the music video (filmed in Lamu mid 2016) to the song Swahili which will be screened during his performance. Another performance to look forward to is by Labdi, a female vocalist from Nairobi. Our sunset sailing session will be lead by Nairobi’s newest percussion ensemble Abaki Simba. The dhow race will be accompanied by DJ’s. Idd Aziz’s passion for music begun at the early age of 13 which followed by him touring the world at the age of 15, inspired by his father. 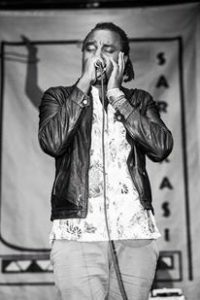 Idd Aziz has been placed on this planet to inspire positive change and awakening through his thought out songwriting prowess. Watch one of his singles Come Dada here. Vocalist and instrumentalist Labdi Ommes educates and empowers through her music. She plays the Orutu, a one stringed fiddle originating from Kenya. Her musical talent will draw you through genres of jazz fusion, neo-soul, experimental, and afro house. 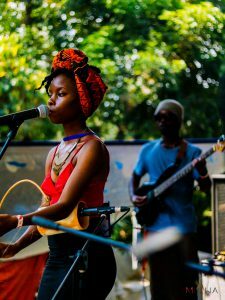 Labdi , is a visionary singer-songwriter and instrumentalist who chooses to differentiate herself from the musicians in of her generation by indulging in the traditional art. More so by taking up the Orutu , a one string fiddle that originates from Western Kenya the Luo Community and not only infuses but also experiments with the indigenous sound and her musical influences which include jazz, ambient techno, classical music , rumba , kwaito among others. Labdi took modules in African Music at Kenyatta University and more specifically took a keen interest in the Orutu. She also has a certification from the Global Music Academy (Addis Ababa, Ethiopia). She has performed in front of thousands in festivals and events around East Africa; Sawa Sawa Festival (KE), Sondeka (KE), Noise on the Nile (UG),Mama’s Kitchen (ET), Nyege Nyege International Festival (UG) just mention a few. Featured as a trendsetter in 2015, Ms Labdi has collaborated with industry professionals like Winnie Lado (SS), Apio Moro, Body of Brian, Kemy Maranga, Simplly Addy (who work on her singles) as well as Creative’s Garage Nairobi on their Femmolution project (2016). She seeks to empower through her music. Abakisimba Musical Troupe is an ensemble of percussionists, poets, musicians and dancers from different ethnic backgrounds. This, as well as our instruments, is what makes the group unique in their compositions. They play exclusively Kenyan percussions mixed with other instruments, making it a rich cultural fusion. Apart from live performances, they do workshops and music programs in order to spread the cultural diversity in Kenya and abroad, which is part of Eco-tourism and cultural exchange. Under the patronage of their Master Drummer who is a former member of Jabali Afrika. The Kenya Cultural Centre is home base for the group. AbakiSimba is composed of no less than 14 musicians of diverse talents. They have performed at various events, including RVF, Sondeka, Sawa Sawa, Santuri Safari and many more. They will be leading the Sunset Sailing on the Saturday, 18th February from Shela to Manda. 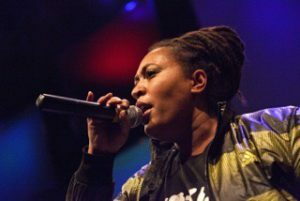 Nazizi is a Kenyan hip hop/reggae/dancehall artist who commands a great following in East Africa. Popularly known as The First Lady; she released her first single ‘Ni Sawa Tu’ at the age of 16. Her versatility has seen her emerge as one of the few artists in Africa who effortlessly slip between different music genres. Shamir grew up in Kibera and Mombasa he started as the lead singer for Bad Man Kollege, a Kenyan reggae band. In 2003, while still in high school, Shamir worked with the legendary Burning Spear for Sawa Sawa Festival. Since 2006 Shamir went solo with his music career, and had his impact in the Kenya music industry in 2007 with the release of “On Fire”, which is still a household name. Shamir has worked with some of the biggest producers in Jamaica from Dean Fraser, Sly Dunbar, to Robbie Shakespear. 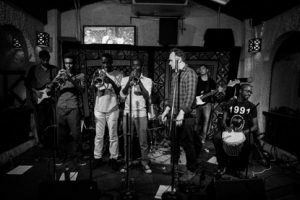 The Kaya Collective is an international group of Nairobi based musicians who play a fusion of afro-funk, soul, hip-hop, rock n roll and jazz. They combine, percussion, brass and vocals to create a truly unique experience. . Being born out of a culture of improvisation and ‘jamming’, much of ‘The Kaya Collective’s’ performance is improvised, providing a completely unique live experience.